A midwife who admitted being “stupidly nosy” for looking up dozens of confidential medical records has been struck off. Vicky Anne Bloxham, 38, viewed records of friends, an ex-boyfriend and colleagues over 14 years “without clinical justification”, a panel found. Mrs Bloxham told the panel she was “very ashamed and embarrassed” about her “completely inquisitive” actions. She was sacked by University Hospitals of Coventry and Warwickshire NHS Trust. The midwife from Leicester, who looked up records between October 2002 and January 2016, was dismissed by the trust last year. An investigation began when a patient complained to the trust that Mrs Bloxham had passed on information from her medical records to another person, the Nursing and Midwifery Council (NMC) heard. The midwife initially denied using the computer system to view records, but broke down in tears when told it was possible to find out what records she had accessed. Mrs Bloxham, who looked up her own records and a former neighbour’s as well as viewing some people’s records several times a day, claimed her actions also resulted from “fear about health, illness and death”. The midwife wrote to the panel she had “learnt a lesson” from the “unchangeable events”. “I hope to be able to move forward and put this harrowing time behind me,” she said. Panel chair Yvonne Brown said Mrs Bloxham had “abused her position of trust” over a sustained period. “We are satisfied that Mrs Bloxham’s misconduct will have brought the reputation of the profession into disrepute,” she said. 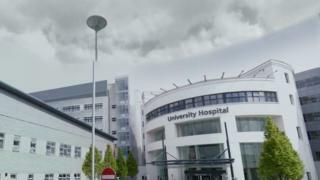 University Hospitals of Coventry and Warwickshire NHS Trust added: “The midwife concerned has not worked for the trust in over a year.